I have a complaint about health and social care services - what can I do? You are entitled to expect good quality health and social care services, and when this does not happen, you have a right to complain. Download some handy tips below. No. 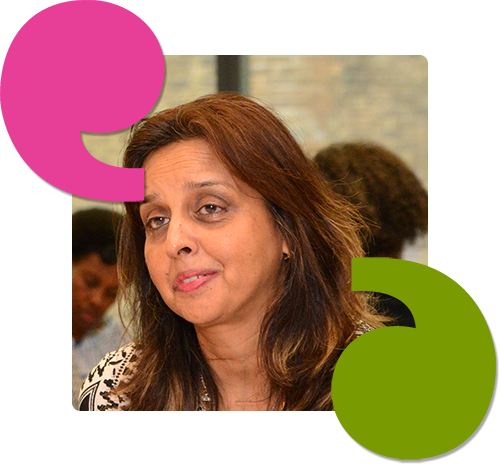 Healthwatch Croydon is an independent organisation that is here to represent the views of the people that use health and social care services in the local area. No, Healthwatch Croydon is commissioned by Croydon Council and will be accountable to them. How is Healthwatch Croydon different to Croydon Local Involvement Network (LINk)? From 1st April 2013, Healthwatch is the new consumer champion for both health and social care. Healthwatch replaces Local Involvement Networks (LINk) but with additional functions and powers. The aim of Healthwatch is to give citizens and communities a stronger voice to influence and challenge how health and social care services are provided within their locality. It exists in two distinct forms: Local Healthwatch, at a local level and Healthwatch England, at a national level. What’s the relationship between local Healthwatch and Healthwatch England? Healthwatch England works at the national level. Healthwatch England takes local experiences of care and use them to influence national policy. Local Healthwatch signposts people to local health and social care services. They also collect and analyse the experiences that people have of local care to help shape local services. They will then feed views and any recommendations to Healthwatch England to act on at a national level. Together we form the Healthwatch network. When should I contact Healthwatch Croydon? If you need to speak to someone about your personal experience or have feedback about a local health and social care service or would like to become a volunteer for Healthwatch. Whilst we do not investigate individual cases, your feedback and experience will be collated by Healthwatch Croydon and passed onto the relevant providers and Healthwatch England to help identify trends for issues to be addressed. I would like to know more about Croydon CCGs Urgent Care review - do you have any FAQs? Please find the latest set of FAQ about Croydon Clinical Commissioning Groups Urgent Care Review as of 14 January 2016.